For kids, getting ready for the new school year means cool new sneakers, backpacks and lunch boxes. 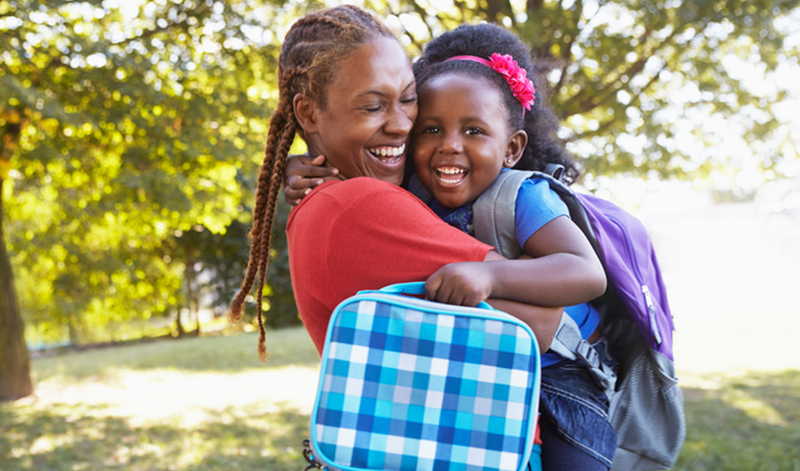 For parents, it’s about setting a morning routine, shopping for clothes and supplies, or locating a bus stop. The relaxed summer schedule often means that a child stays up later than normal. We all know that a good night’s sleep is critical for school success. Try this: Two weeks before the start of school, start putting your child to bed ten minutes earlier each night, and get him or her up ten minutes earlier each morning. By the first day of school your child will be rested and ready to go. To help your child get ready for the “morning rush,” try color-coding bureau drawers. Socks in the “red” drawer, shirts in the “yellow” drawer, etc. You can use small colored stickers or pieces of construction paper. Color-code the closet as well. Hang all “pinks” together, all “blues,” etc. This is an easy and fast way for kids to find their clothes. Hope these help make this school year the best ever!